In the span of 10 minutes, a car can heat up by 20 degrees, enough to kill a child left alone in a vehicle. 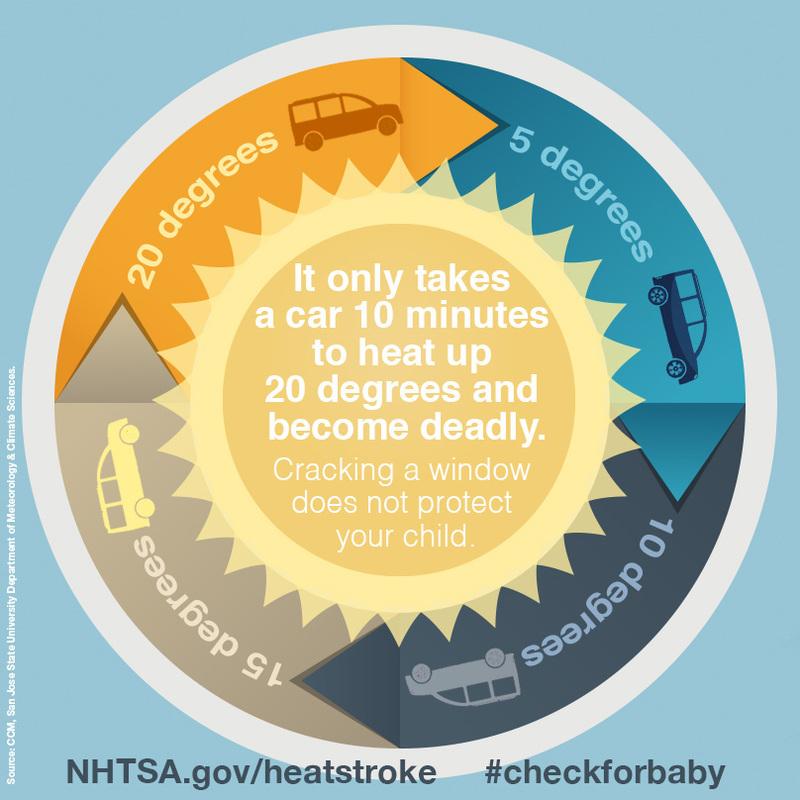 Children are at a higher risk than adults of dying from heatstroke in a hot vehicle, especially when they are too young to alert others for help. When a child’s temperature reaches 107 degrees, they die. Heatstroke kills - always look before you lock. 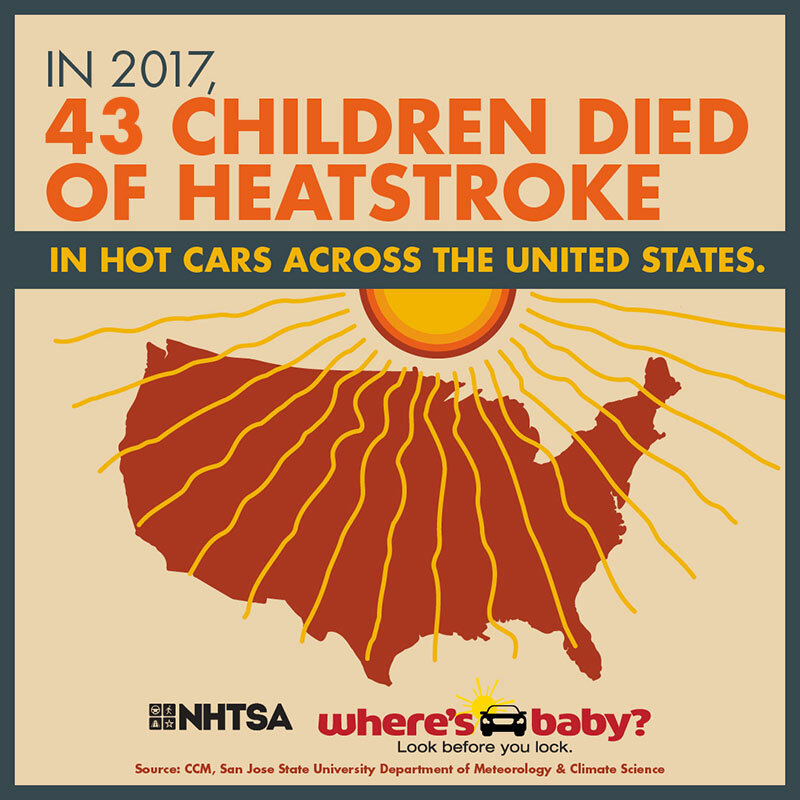 In 2017, 43 children died from vehicular heatstroke. Remember to check for baby. 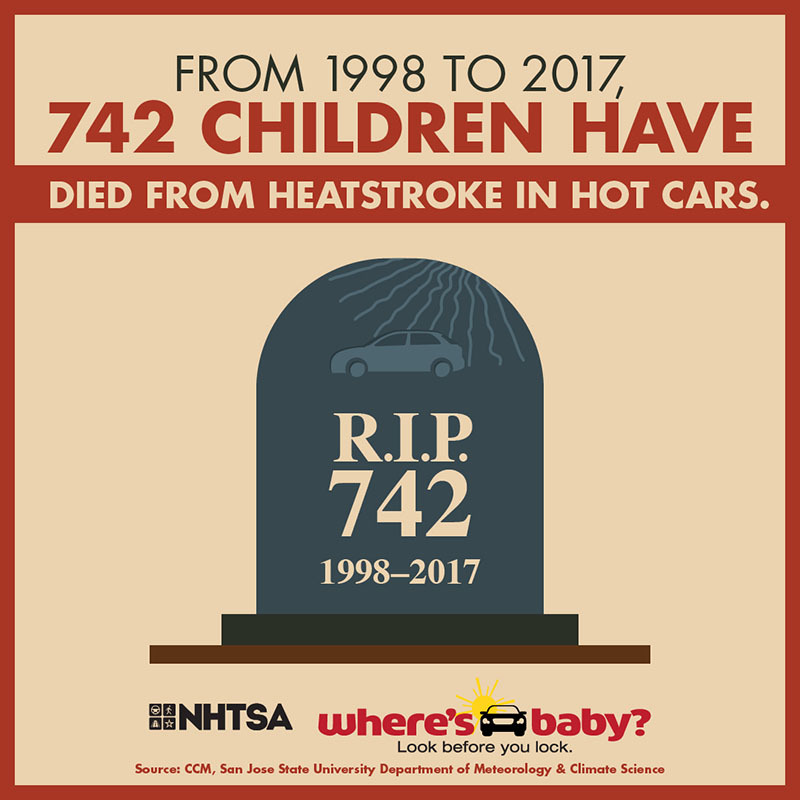 From 1998-2017, 742 children lost their lives to vehicular heatstroke. 54% who died were “forgotten” by a caregiver. 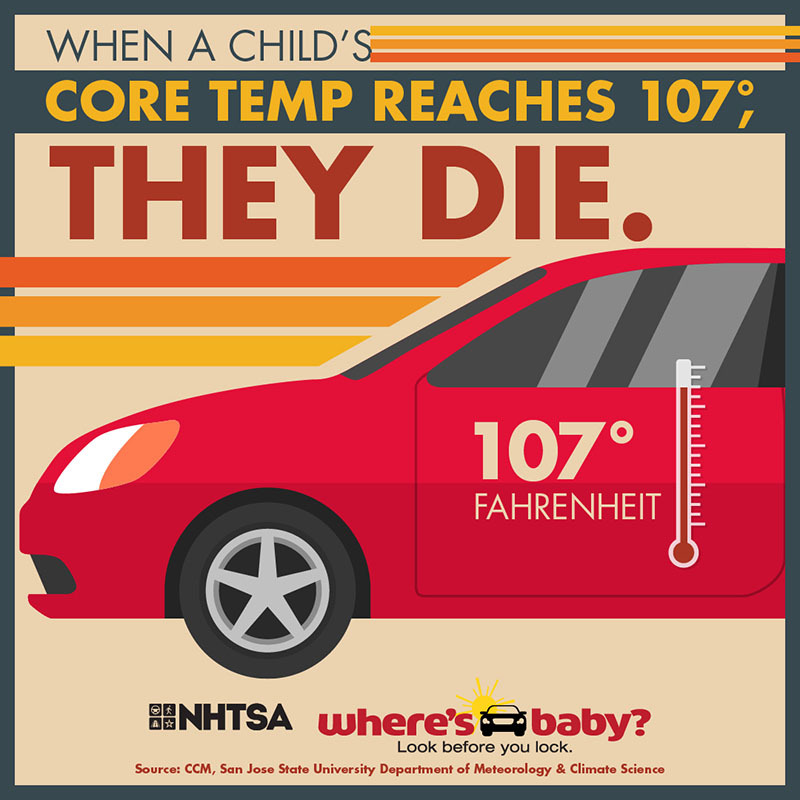 In 2017, there were 43 heatstroke deaths of children in vehicles, a 63-percent increase from 2015. It only takes 10 minutes for a car to become deadly. Always ask: Where’s Baby?